Pilots of aircraft conducting other than arriving or departing operations at altitudes normally used by arriving and departing aircraft should monitor/communicate on the appropriate frequency while within 10 miles of the airport unless required to do otherwise by the CFRs or local procedures. Such operations include parachute jumping/dropping, en route, practicing maneuvers, etc. 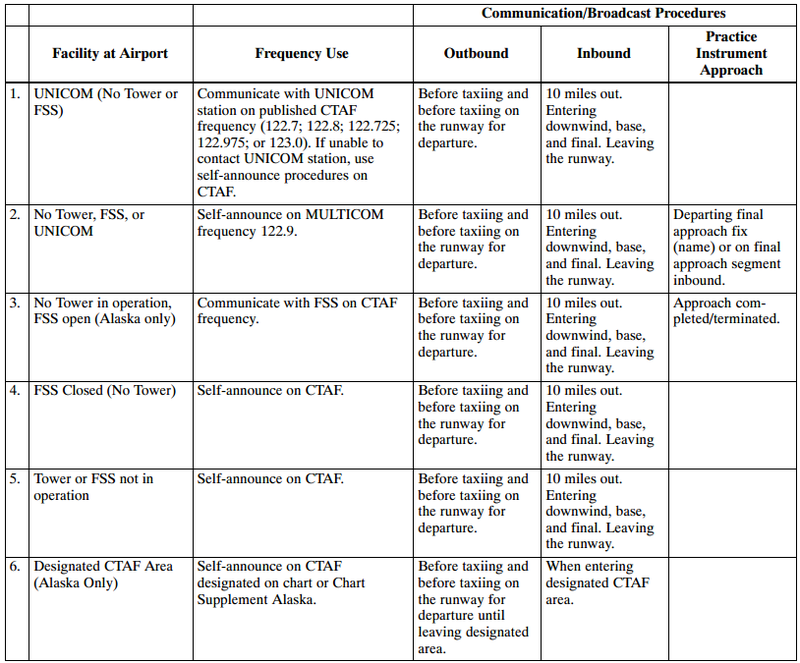 In Alaska, pilots of aircraft conducting other than arriving or departing operations in designated CTAF areas should monitor/communicate on the appropriate frequency while within the designated area, unless required to do otherwise by CFRs or local procedures. Such operations include parachute jumping/dropping, en route, practicing maneuvers, etc.